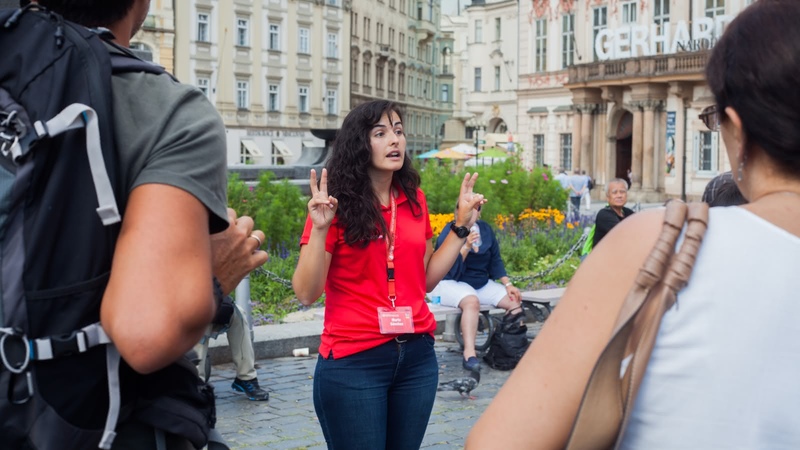 This 3-hour FREE Prague walking tour will show you many of the top attractions in the city. 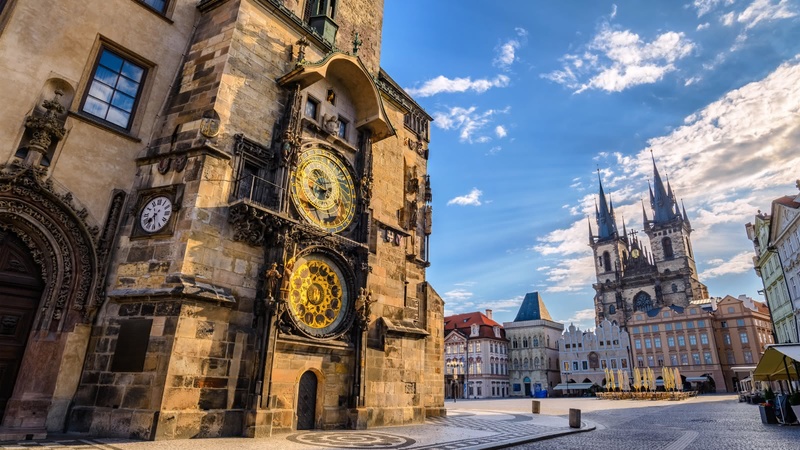 Local experts will take you to must-see spots such as the Rudolfinum, the old Jewish Quarter and the Astronomical Clock. 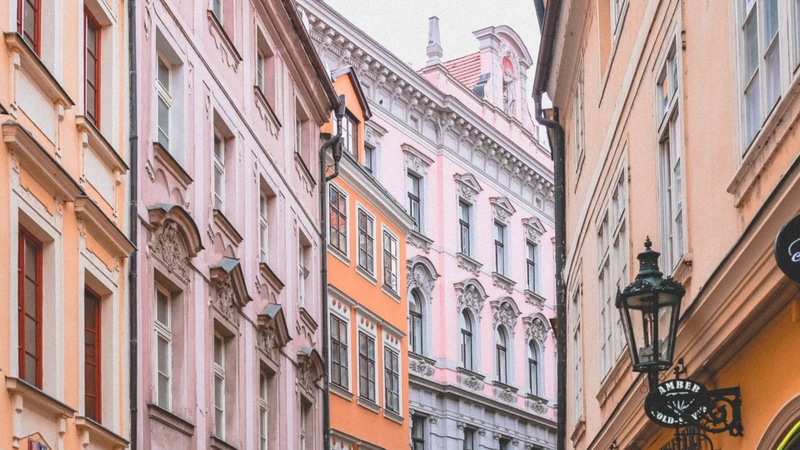 Explore the historic Prague streets with the help of an expert local guide. 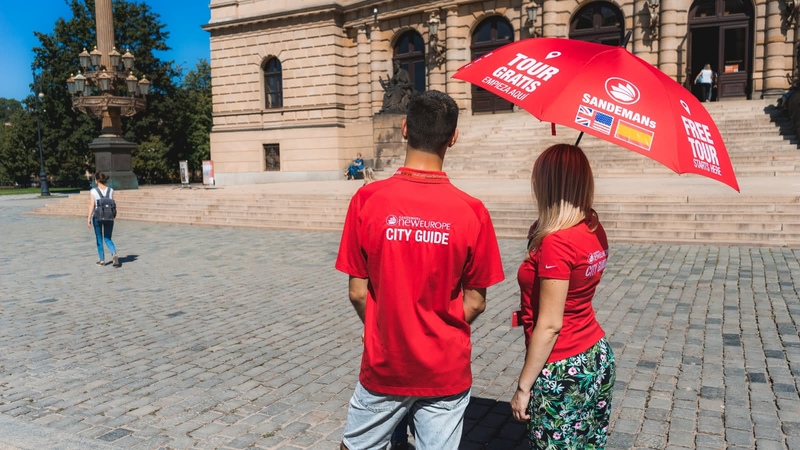 Your FREE city tour of Prague meets daily in front of the Cartier store and the Czech tourism office on Old Town Square and finishes at Jan Palach Square. 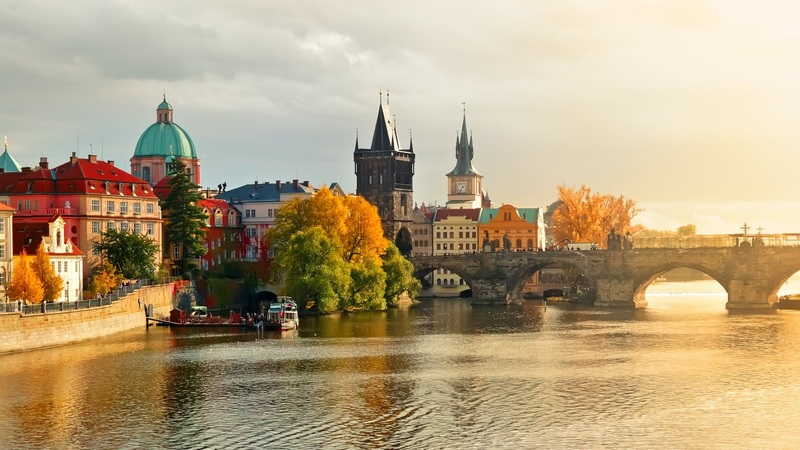 Join us on this introduction to Prague, a great way to orientate yourself in the city and at a price to suit everybody’s budget. Strolling through the streets of Prague shows you that this is surely one of Europe's most beautiful cities. 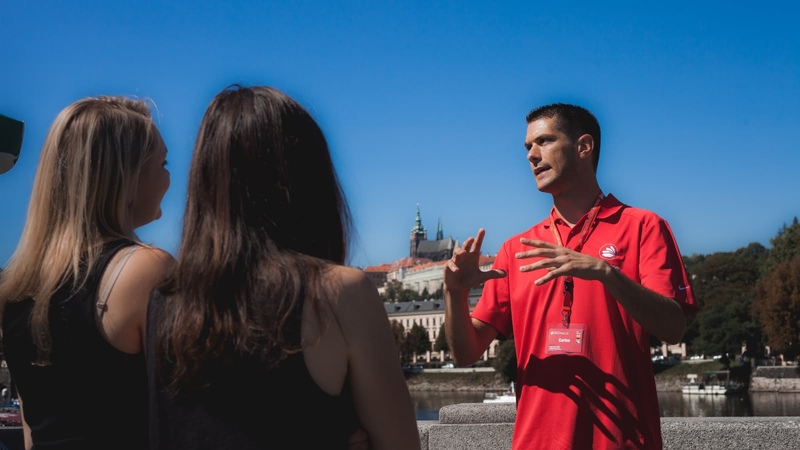 As your expert local guide takes you to see top Prague landmarks like the Rudolfinum, the Astronomical Clock and stunning views of Prague Castle (check out our Castle Tour) you and your camera will fall in love with Prague. Prague is not just beautiful though - it's fascinating. 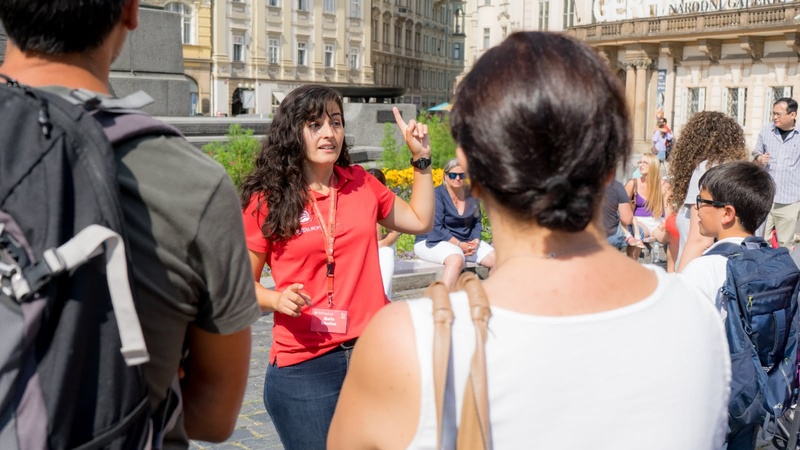 As this walking tour takes you past must-see Prague sites like Wenceslas Square, the Jewish cemetery and the site of the WWII Prague uprising, your expert guide will take you through Prague's fascinating Bohemian history, before giving you a more modern overview of the dark days of Nazi occupation, including the people's uprising and the assassination of Reinhard Heydrich. You'll also hear about the more recent history of life behind the Iron Curtain in the Cold War-era, as well as the fall of the communist state with the 1989 Velvet Revolution. I do these tours in every city I am in that has one. They are a great way to get to know the city and its history. Karel was a great tour guide. He answered all our questions and provided extensive and detailed descriptions of every place he took us to. He even answered questions that we had regarding the Czech language, conversed with us about the area and made the tour interactive and fun. It's about 4 hours in total and we stopped for 30 minutes for a beer break. Wear good shoes and be prepared to learn. Absolutely wonderful, Neil is very knowledgeable and great at telling stories. He gave us some good tips, where to eat and things to see and a lot of interesting stories about the city. Totally recommended. My 12-Year Old LOVED it! Andy kept her entertained with funny stories that she's spent all afternoon repeating to her brother. Thanks, Andy, for making Prague history come alive. This was our first walking tour, and we'll definitely be looking for Sandemans on our next trip. Funny, informative, amazing, diverse, interesting... and there would be so many more adjectives to describe the incredible walking tour with Ian! He not only showed us how to speak Czech but told us a lot about Czech history which was super interesting. 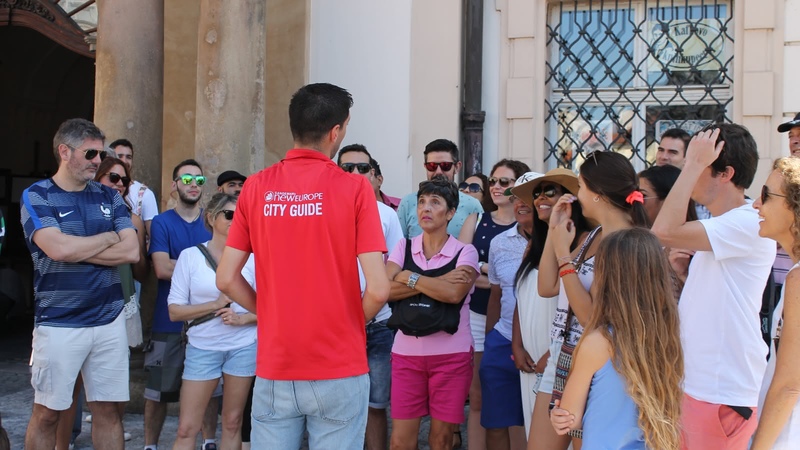 The free walking tours by Sandemans are always great, in every city I've tried them. The one in Prague by Matt was no exception: entertaining, interesting and instructive. A great way to start getting to know a new city! Had an unbeatable time today touring Prague with Katerina as our guide. Think we must have had the best tour guide easily! So helpful and informative throughout the 3 hour tour. Couldn’t recommend any higher. Thank you so much! Neil provided a thorough explanation of the history sights and lifestyle of Prague in a personal and humorous manner during his 3 Hr tour. Highly recommended. 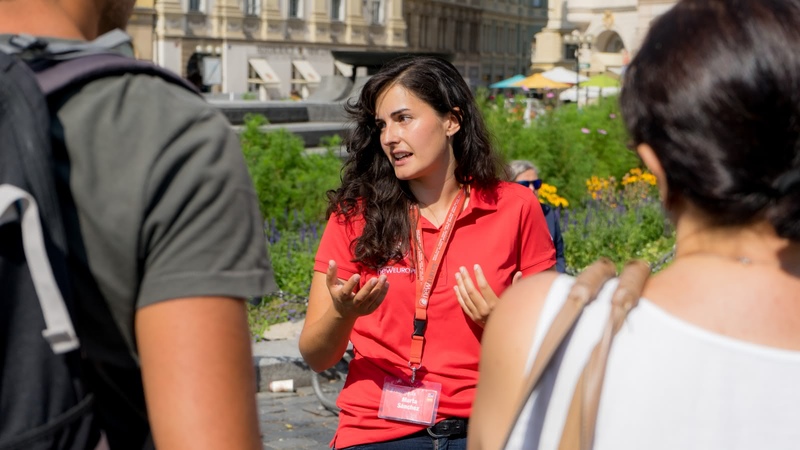 We believe in supporting local communities and are committed to giving a voice to some of Prague's best local freelance tour guides, who passionately share the city's history and culture with their own unique and always-entertaining style.